It is so much fun to see little Waylon grow! During his session, eating leaves was more on his agenda, but I think we got a few good smiles and laughs out of him! It was the perfect Fall day for Elizabeth and Derryll's session! I still can't believe how gorgeous that big red tree was! Also, make sure to head over to Elizabeths shop on Plainfield, Posh Petals. She will have gorgeous flowers all year long for you!! Love and Laughter. Those are the two words that come to mind when describing Christina and Josh. Their wedding day was a bit rainy, but it did not dampen their spirits at all. Joy and laughter filled the day. I finally got to meet little Hali Rose! She was just so small and adorable, and look at all of that hair! I love having newborn sessions and getting to cuddle a new little one for a bit. Hali's Dad is a sailor and I wanted to incorporate something to give a nod to that. I've had this life preserver for a while now and this was the perfect opportunity to use it. And, it's orange!! Perfect! Phil and Angie came into the studio to get Maternity photos. We decided to use some of the Beloved questions to help make the session more fun and create more real interactive images. It was a lot of fun to see what answers they came up with for each other and the laughter was contagious. I can't wait to meet their new little girl soon!! 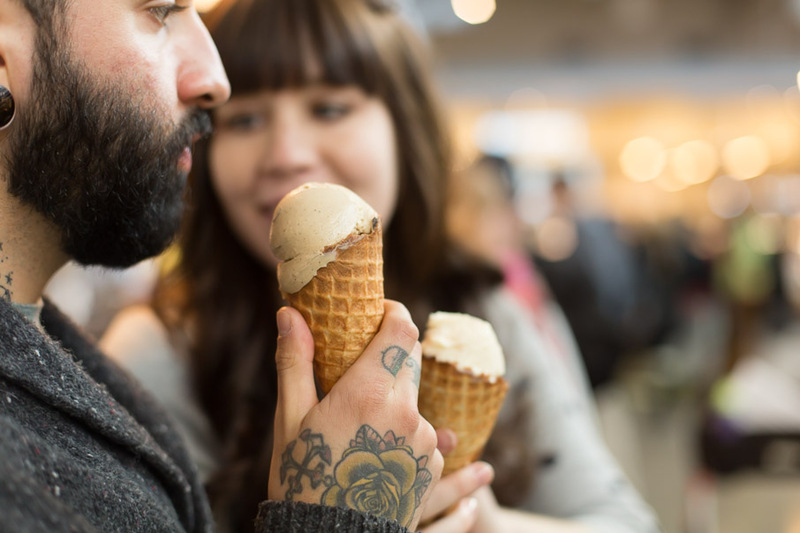 At the end of our session, we headed over to the Downtown Market and had Love's Ice cream. It is some of the best ice cream around, it also helps that they carry dairy free ice cream too. I think the baby loved it too!